Someone once rightly said, “Laughing is, and will always be, the best form of therapy”. Laughter not only helps ward off several diseases but also creates a good and healthy environment.Laughter is the cure to so many diseases, but amidst the hardships of life it’s not the easiest of things to do. With such mundane and dull routine, people are increasingly turning to funny episodes and comedy shows to refresh themselves. Even our film and TV industry are picking up this trend. But it is not always possible to catch a funny movie in the theatre or watch these hilarious shows on TV in peace or at your disposal. nexGTv has made things easier for you (and me too) by bringing well to the horse! 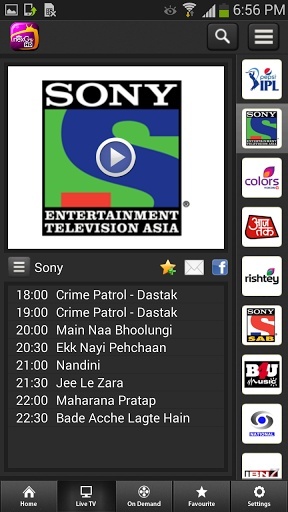 Now you can catch up with your favourite shows whenever you want and wherever you want. Just click and watch all that you want on your smartphone with the help of this fantastic application! Over the last decade cell phones have become immensely popular. With technology booming up exponentially, many people own a smartphone these days- all thanks to the scientists and engineers who have managed to keep the prices affordable with their inventions and discoveries. That’s not the end of it, people now have access to Internet-powered smart phones that are capable of streaming videos, news and a lot more. Availability of applications has made my life more happening! There are many applications that support live streaming. I would like to talk about one such app, nexGTv. Applications like nexGTv have separate section with many Comedy Premium shows for the sake of users like me. According to me, nexGTv app is an amazing alternative to television and can be easily described as one-stop shop for next generation’s entertainment needs. My experience has been pretty good and now I am always aware of what’s happening around the world with this app. From providing you the quirkiest videos to latest movies and breaking news, you can select your preferences just by swiping your finger from the edge of the screen. See the episodes at a stretch without advertisement or enjoy them live even when you are out in a public transport. The ease of using these applications is another plus as you can search your favourite shows just by typing their names; it’s all so simple, no wonder it’s better and efficient. So download this app and let’s laugh and spread happiness and make this world a better place to live in! Thanks nexGTv! !